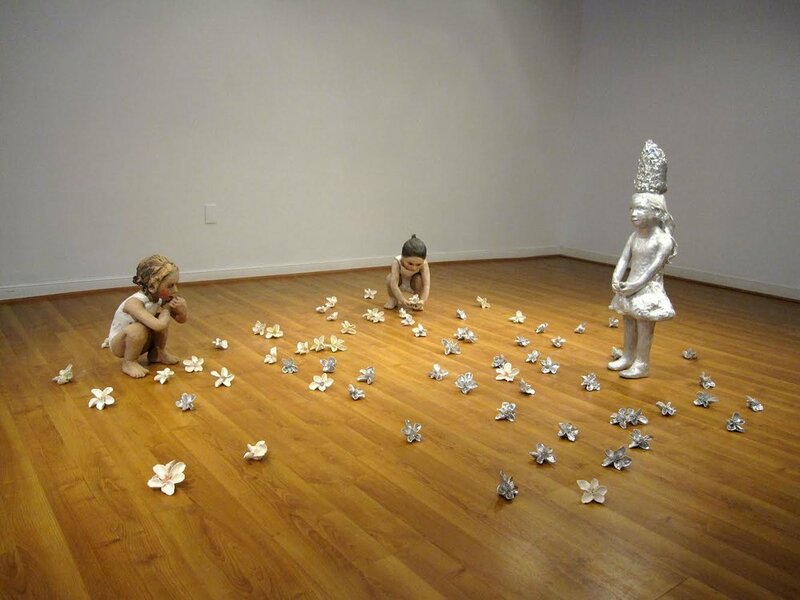 Claudia Alvarez was born in Nuevo Leon, Mexico in 1969 and immigrated to California with her family at the age of three. She attended University of California, Davis (BA 1999) and California College of Arts, San Francisco (MFA 2003). Alvarez worked at the University of California Davis Medical Center in Sacramento, California from 1987-2000. 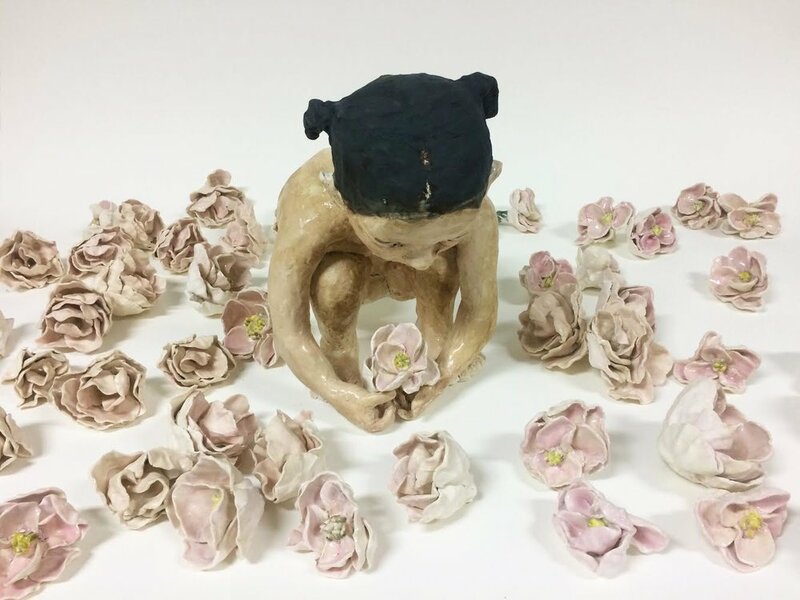 Deeply affected by the terminally ill children and elderly patients she encountered as a non-emergency ambulance driver, her painted and sculpted figures continue to reflect their strength and vulnerability. Her work addresses the way social, political, and psychological structures impact our behavior and personal interactions. 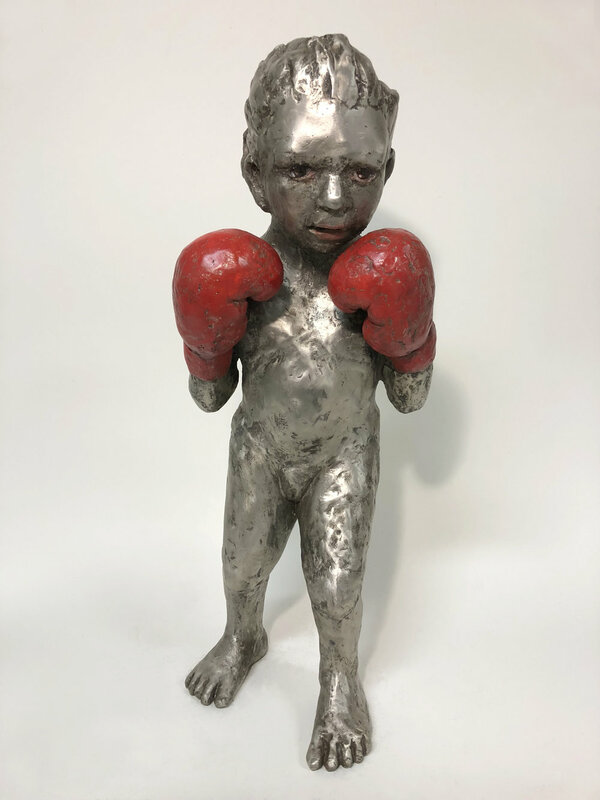 By imbuing sculptures of children with adult characteristics and mannerisms, Alvarez tackles issues relating to violence, empowerment, endurance and what they reveal about human nature. Her work has been exhibited in the United States, Europe, Canada, Mexico and Japan. 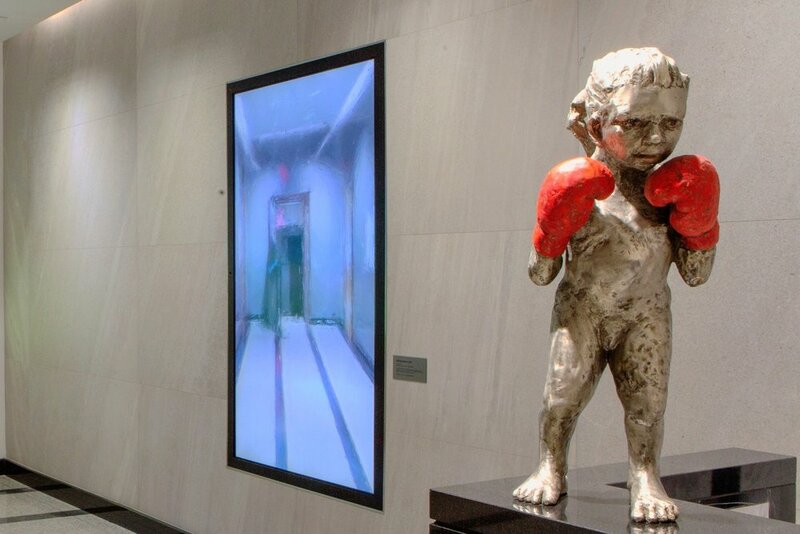 Recent solo exhibitions include Boy in a Room, Edward Hopper House Museum and Study Center, Huerta, El Museo del Barrio, New York, NY, Acécate, Centro Nacional de las Artes, Mexico City D. F., Girls with Guns, Scott White Contemporary Art, La Jolla, California, Silencio de Agua, Museo de Arte Contemporaneo de Yucatan, Merida, Mexico, American Heroes, Blue Leaf Gallery, Dublin, Ireland. Recent group shows include Your Making Me Uncomfortable: Perspectives on Controversial Art, Sheldon Museum of Art, Lincoln Nebraska, New Ways of Seeing: Beyond Culture, Dorsky Gallery, New York, Mujeres, Museum of Nebraska Art, Kearney, NY, NY: CLAY, Clay Art Center, Port Chester, New York, In Pursuit of Freedom, Corridor Gallery, Brooklyn, New York, Migrantes: Claudia Alvarez, Jose Bedia, Ilya y Emilia Kabakov, Nina Menocal, Mexico City Mexico. Alvarez has received grants from Art Matters Foundation, New York and Barbara Deming Memorial Fund, New York as well as artist residencies at SASAMA, Shizuoka, Japan, The Northern Clay Center with The McKnight Foundation, Bemis Center for Contemporary Arts, Omaha, Nebraska, SOMA, Mexico City, FUTUR, Rapperswil, Switzerland, and El Museo Del Barrio in New York City. Collections include Sheldon Museum of Art, Lincoln, Nebraska, National Museum of Mexican Art, Chicago, Museo de Arte Contemporaneo de Yucatan, Merida, Mexico, Museum of Nebraska Art, Kearny Nebraska, The Mordes Collection, West Palm Beach, Florida.